Our award-winning North to Alaska program, brings local personalities, culture and cuisine on board to immerse you in all things Alaska. Watch actual lumberjacks in action, hear from real Alaskans like best-selling “Tales of the Wild” author Nick Jans, dine on fresh Alaska seafood, meet National Park Rangers and naturalists, and make friends with Alaska’s next sled dog class with Puppies in the Piazza. There are certain experiences that are uniquely Alaskan — salmon fishing in a quiet river, watching a family of bears forage for berries, or admiring a Native craftsman carving a totem pole. That's why Princess offers optional excursions for every interest, and with More Ashore calls in Juneau on many sailings, you can extend your day with more time in port and experience even more of this historic town. Our Alaska itineraries will bring you face to face with at least one of these icy mammoths in places like stunning Glacier Bay National Park — a UNESCO World Heritage Site and named a Cruise Wonder of the World by Condé Nast Traveler — or breathtaking Tracy Arm Fjord, and farther north at College Fjord or Hubbard Glacier. How many times in your life have you had the opportunity to see moose grazing in vast meadows, whales frolicking in glistening waters and bears in their native habitat? In Alaska, all that is possible — including glimpsing Denali National Park’s Big Five: brown bears, wolves, moose, Dall sheep and caribou. Here you’ll find some of America’s most stunning national gems — awe-inspiring Denali National Park, home to North America’s tallest peak, 20,310-foot Denali; Wrangell-St. Elias National Park, larger than the country of Switzerland; Glacier Bay National Park with towering Margerie Glacier; and beautiful Kenai Fjords National Park, with its glaciers and abundant marine life. Sailing into ports along the Inside Passage, you’ll get a glimpse into the welcoming personality of the Great Land, and a taste of the fascinating gold rush history that has left its mark on the region’s streets, saloons and storefronts. Contrasting the rustic authenticity of Alaska’s towns is the regal British influence of delightful Victoria, B.C., a stop on select Princess® Alaskan cruises. Read about Alaska’s must-see attractions, signature cuisine, and how to prepare for a wild adventure into the heart of The Great Land. In 2019, Princess is celebrating 50 years of adventure and innovation in Alaska. It's a legacy that has made us the #1 cruise line in Alaska. 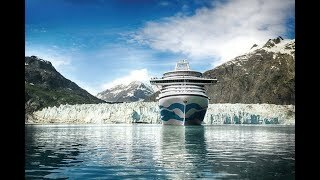 Learn Juneau, Alaska, facts with Princess Cruises. Did you know that Juneau, Alaska, is the only state capital in the U.S. that isn't accessible by road? Discover things to do in Juneau, Alaska, during a Princess Cruise. Juneau shore excursions include whale watching, dog sledding, glacier tours, hikes and more. Enjoy Alaska food at its finest with these restaurants in the Inside Passage. Princess Cruises can help you eat like a local with these restaurants in Alaska. Find out what to expect from whale watching in Alaska! Princess Cruises has tips on what to bring, wear and how to capture these amazing memories. Keep an eye out for Denali National Park's animals! Princess Cruises tells you what wildlife you can spot inside gorgeous Denali National Park.